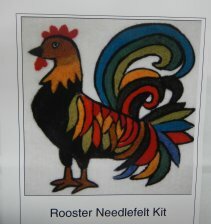 These kits are designed & assembled here in Vermont by my niece who has a fabulous sense of color and design. 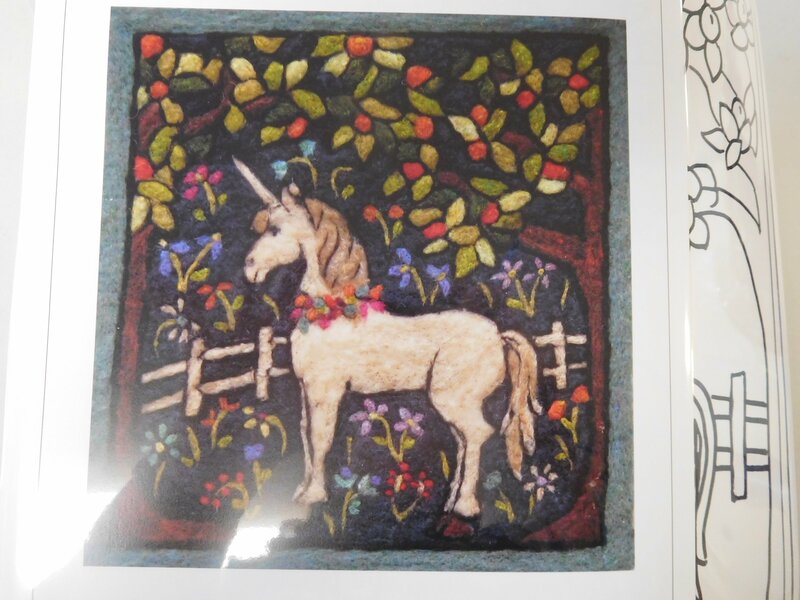 They are a great way to learn to needle felt, and yet half of all the kits I've sold have been sold to experienced needle felters who just loved the designs! 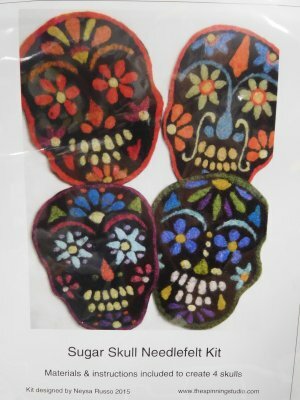 So whether you have never needle felted before or are experienced, these kits are a treat. 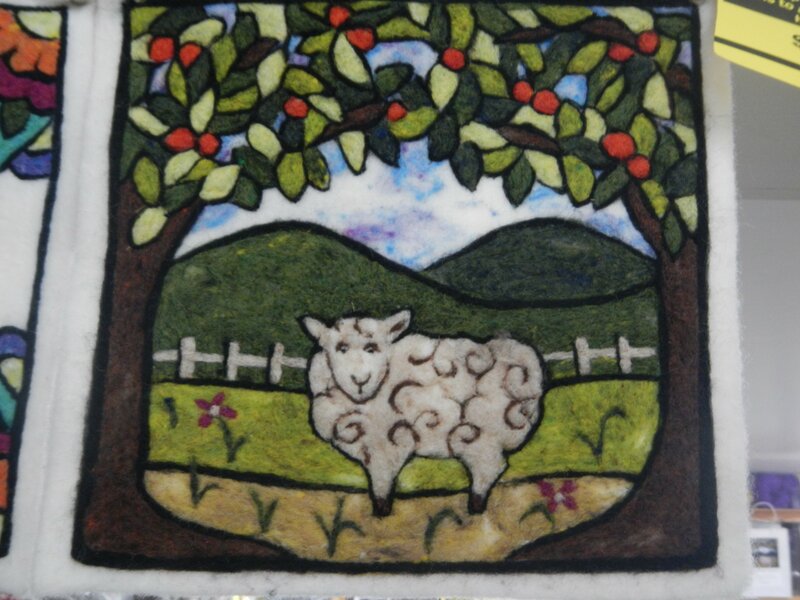 The resulting size is about 10" x 10".....makes a lovely wall hanging, could be stitched or felted onto a Partial Felt to make into a pillow, or could be used as a trivet. 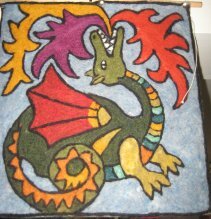 Kit includes the design template, the Partial Felt (which is like your canvas), all the fiber needed to complete the project, 2 needles, instructions and a styrofoam board to needle into so you have a stiff, but prickable surface to needle on. 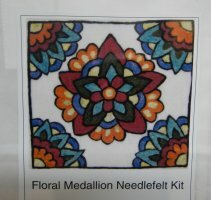 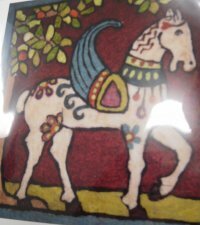 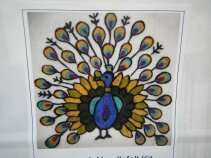 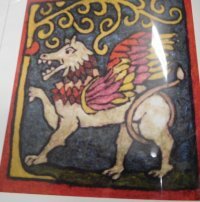 If you want a larger piece for a wall hanging, check out this same designer's larger kits here.